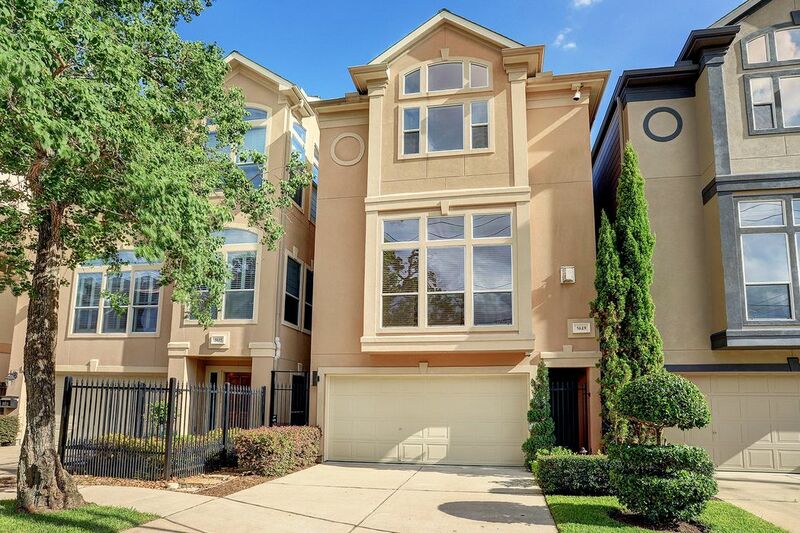 5619 Blossom Street, Houston, TX 77007 | Martha Turner Sotheby's International Realty, Inc. 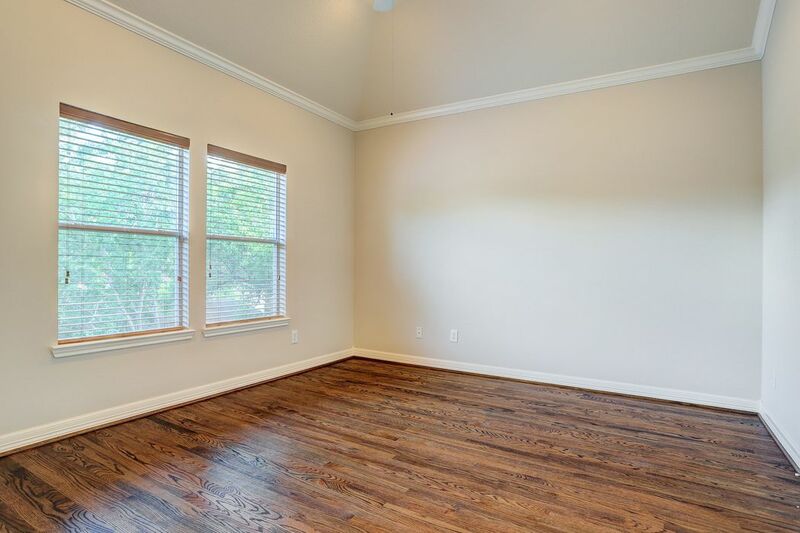 This large room (15' x 12') offers plenty of wall space for furniture and artwork. 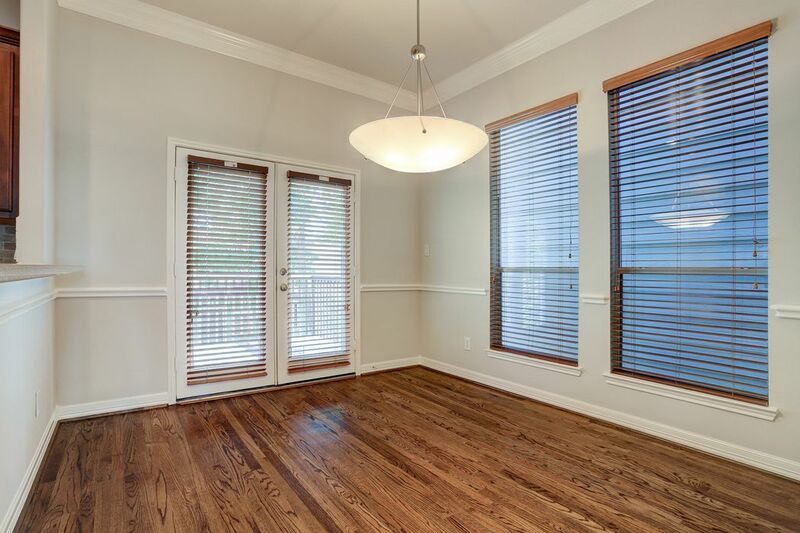 Notice the gleaming, newly installed hardwood floors! 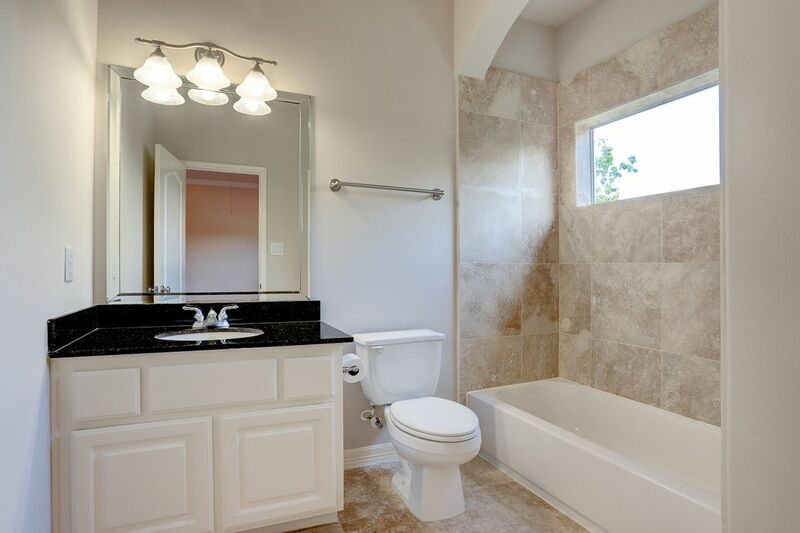 The EN SUITE BATH on the 1st Floor has a shower/tub with a tile surround and a high window for natural light. 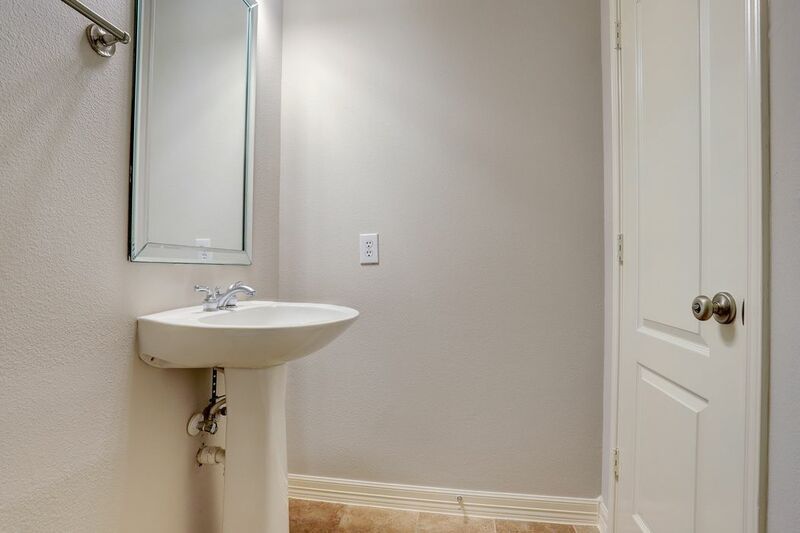 Also included are a granite-topped vanity with a framed mirror above. Not seen is the attractive tile flooring. 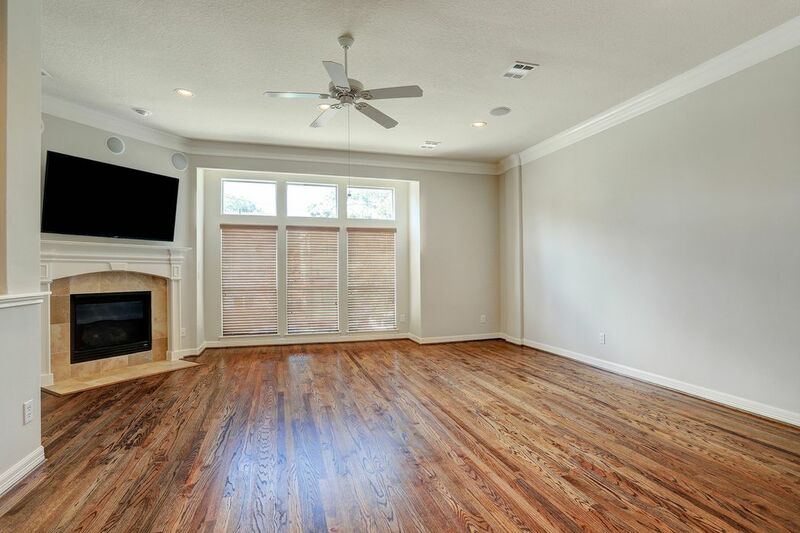 Another view of the FAMILY ROOM shows the size of this spacious room including a wide wall for large-scale furniture and artwork, and several large windows with transoms above that face the front of the townhome. 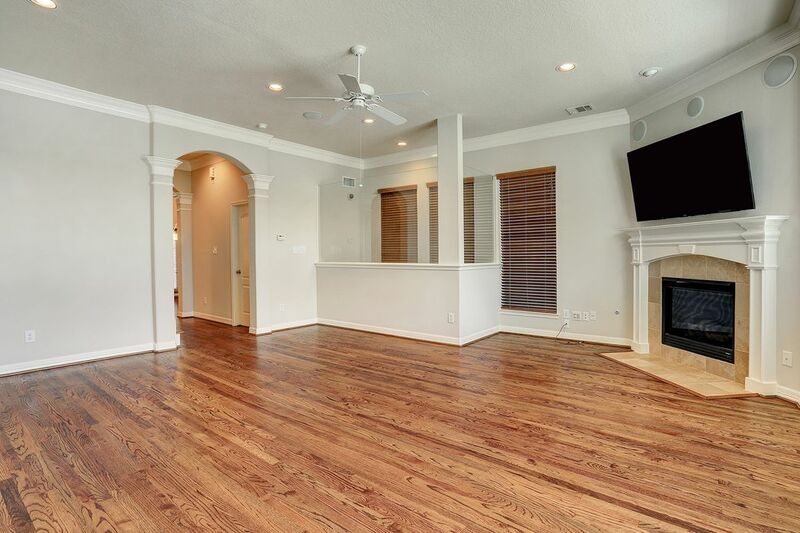 This view of the FAMILY ROOM shows the arched entry with detailed molding on either side. 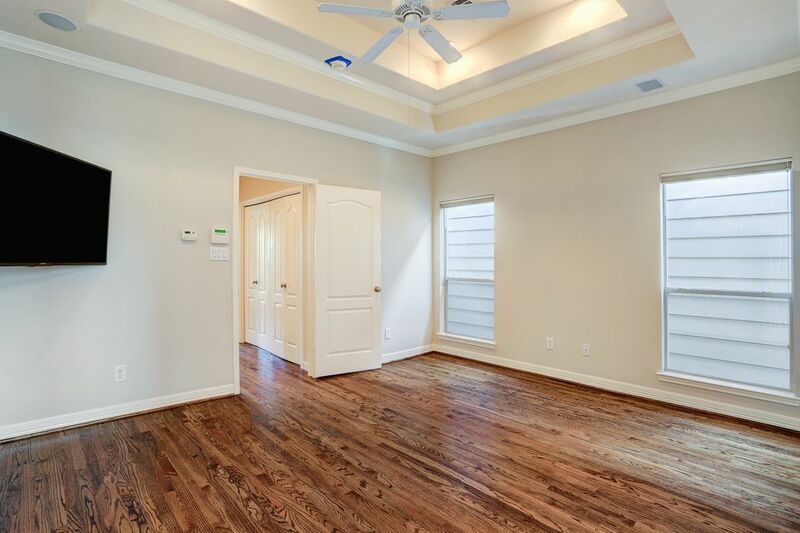 Notice the crown molding and the overhead ceiling fan. 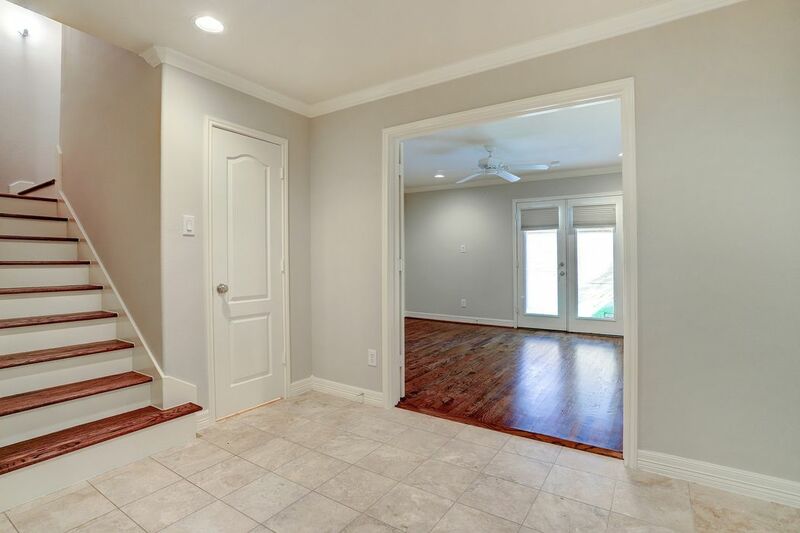 The GUEST BATH is perfectly situated in the landing between the Family Room and the Kitchen. 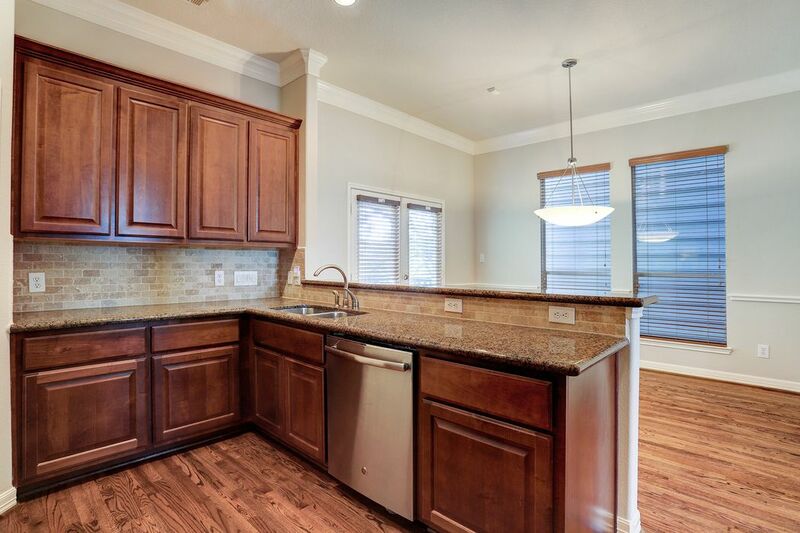 The CHEF'S KITCHEN offers a lot of counter space so there can be more than one cook in the kitchen. 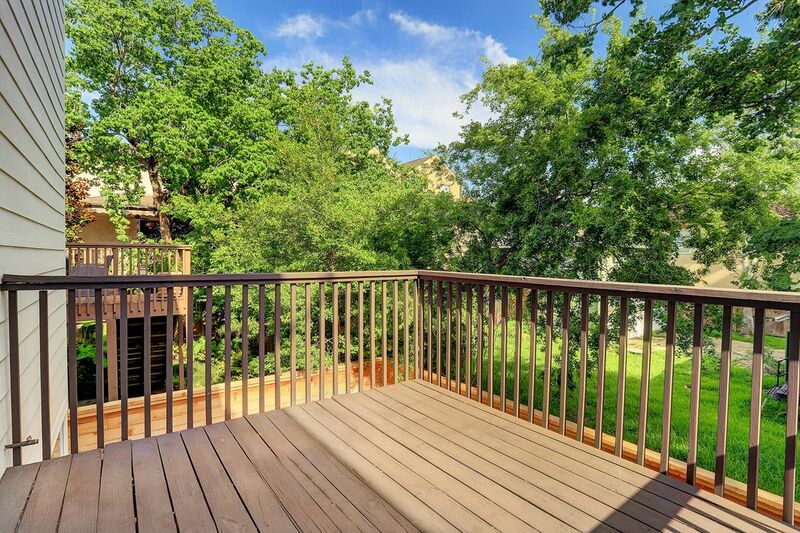 The French doors in the center lead to a really nice Deck! The DINING ROOM (12' X 10') has a transitional chandelier and can accommodate different sizes of dining tables. And you can always put another dining table outside on the Deck! 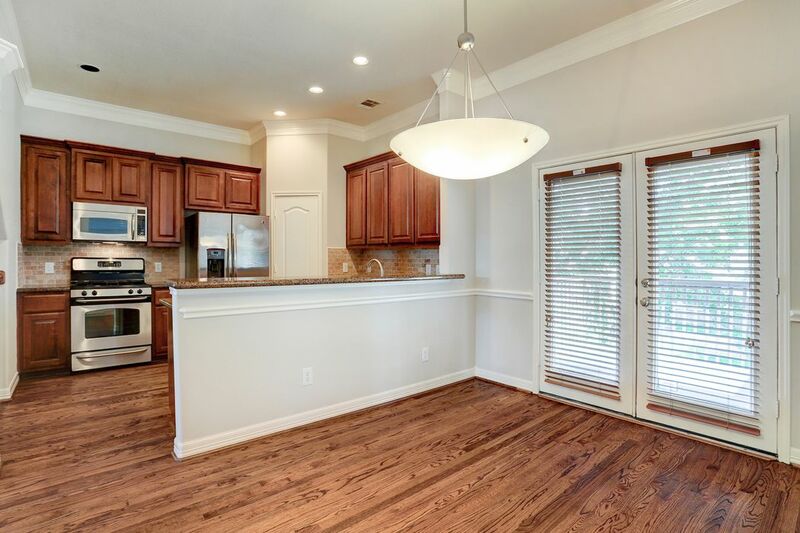 This DINING ROOM gets plenty of natural light from two large windows and the French doors. The 2nd Floor DECK feels like it's up in the trees and has enough room for an outdoor grill (notice the gas stub out on the left) and outdoor furniture. 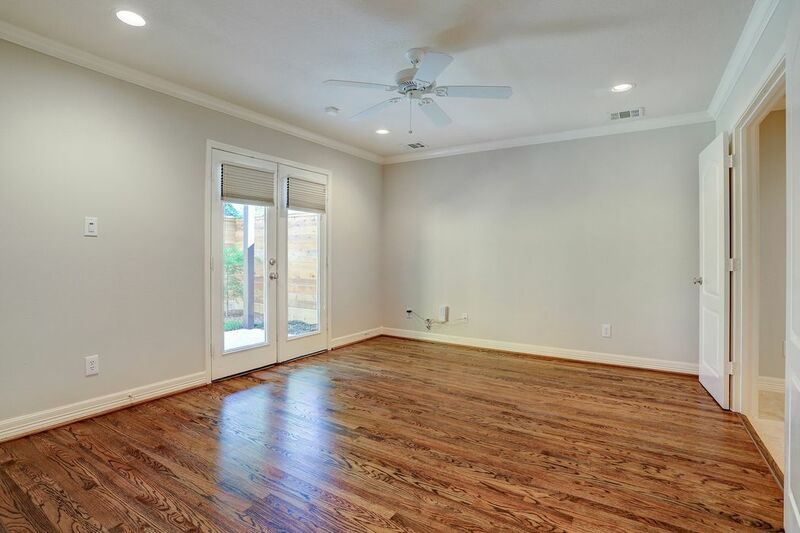 We're on the 3rd Floor in the MASTER BEDROOM (15' x 12') that has been recently painted and has newly installed hardwood flooring. Notice the double tray ceiling with cove lighting (please excuse our painter's tape!) 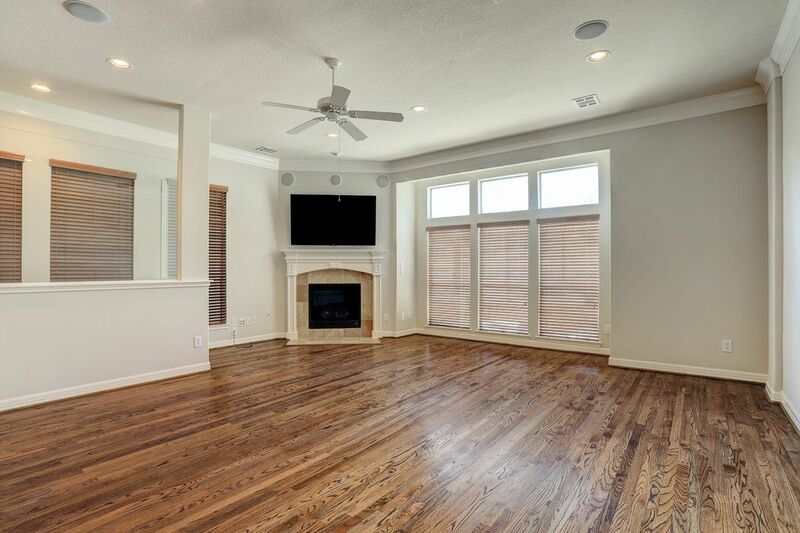 and ceiling fan. 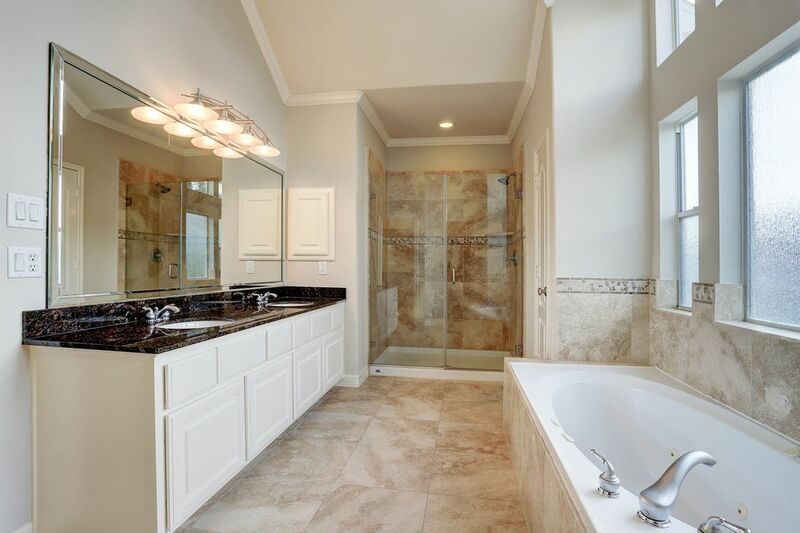 A closer look at the jetted soaker tub and the separate shower in the MASTER BATH. 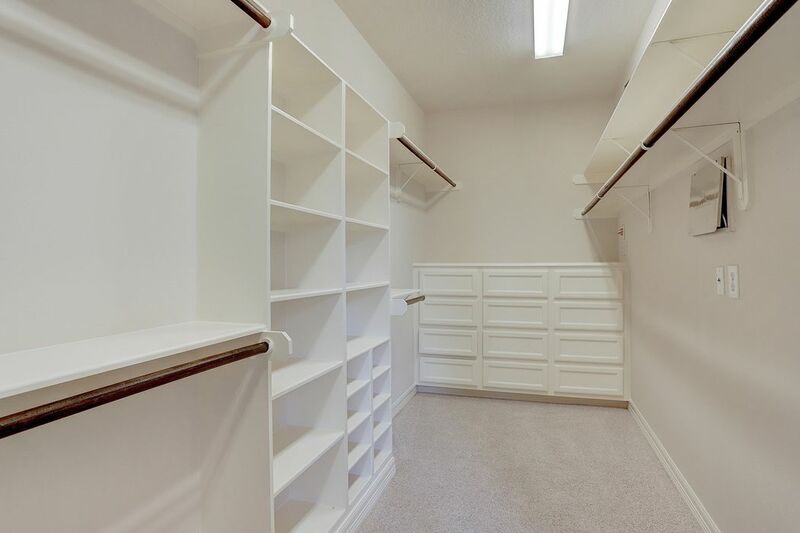 The closed door is a storage closet for linens and towels. 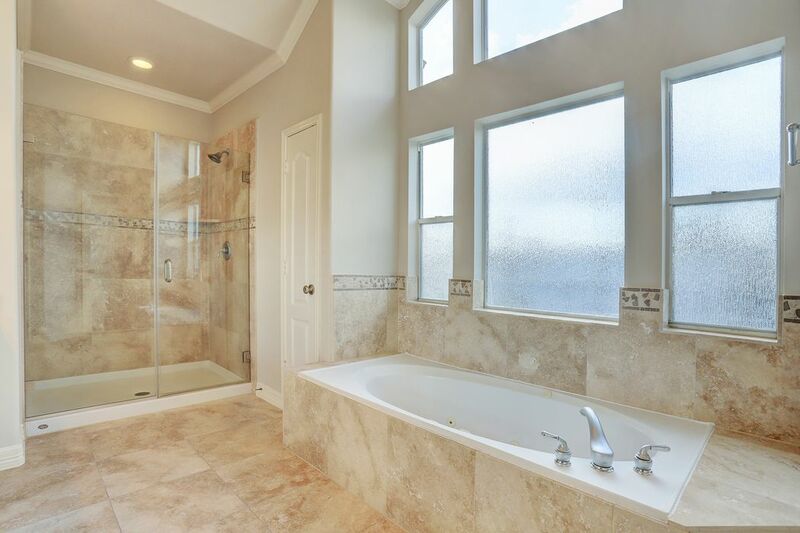 Notice the wall of windows above the tub - very impressive! The SECONDARY BEDROOM (14' X 12') on the 3rd Floor has newly installed hardwood floors and two large windows facing the Backyard. 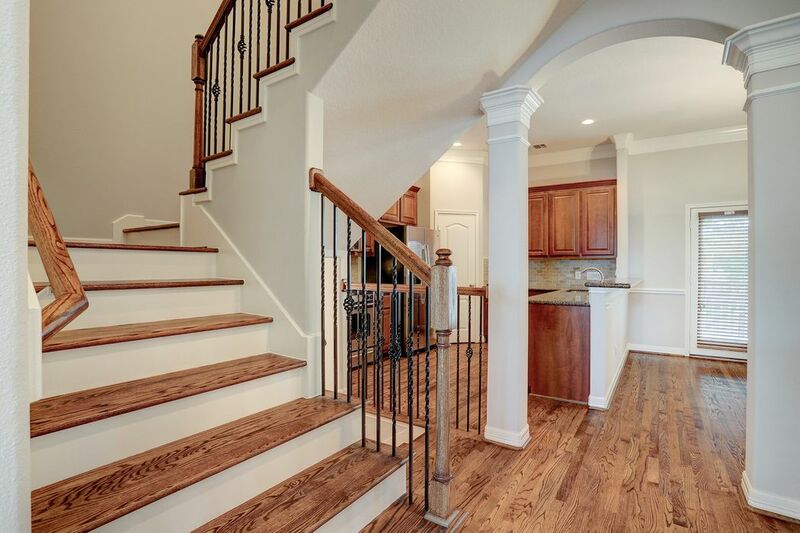 $475,000 3 Bedrooms3 Full / 1 Partial Baths2,440 sq. ft. 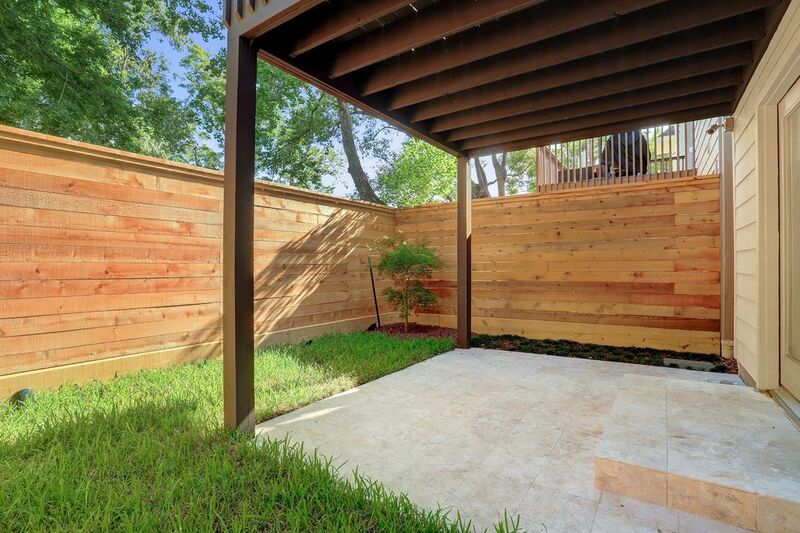 Fantastic townhome with backyard and no Harvey issues. 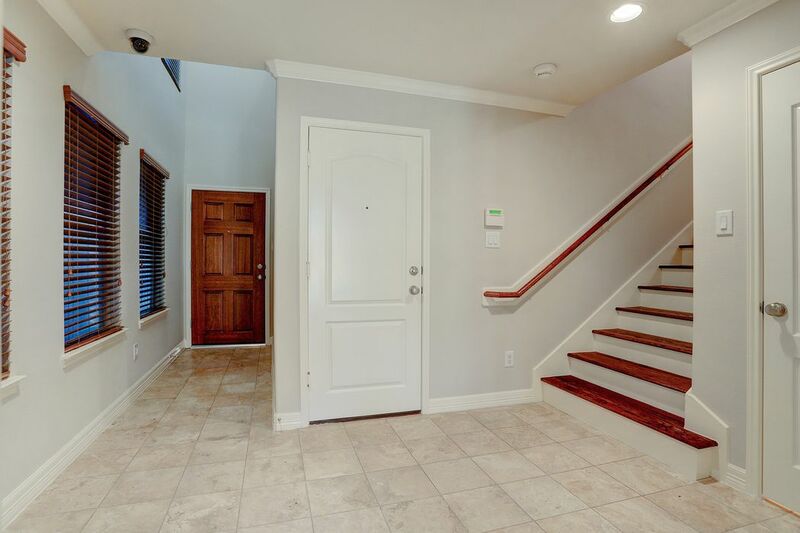 Super location with extra parking, gated entry, beautiful inside with three large bedrooms with en suite baths and walk-in closets, covered patio, deck off dining room, landscaped fenced yard, stylish open kitchen and large family room with fireplace. 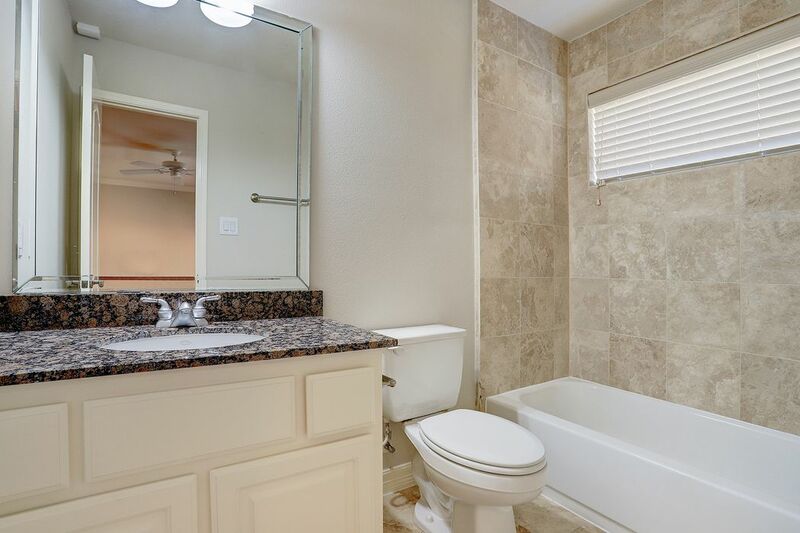 Master suite is luxurious with tray ceiling, large customized closet, separate shower, jetted tub and two vanities. Extremely well-maintained and looks like new. 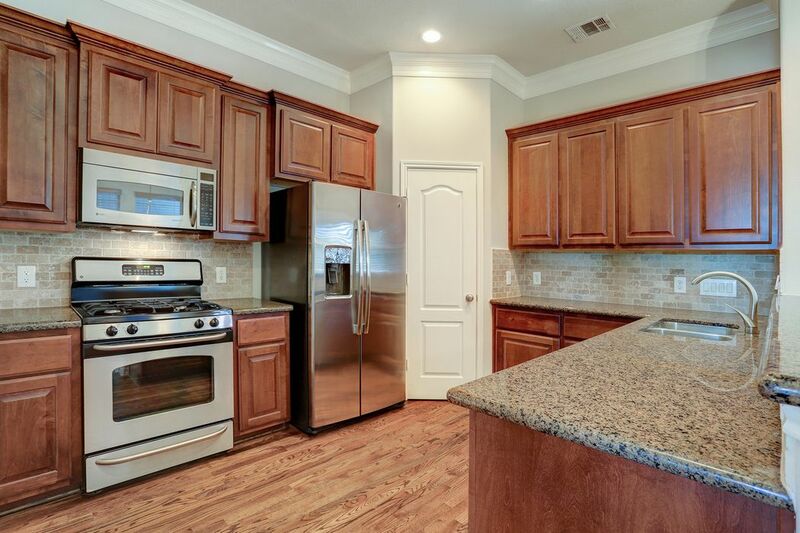 Washer, dryer and refrigerator included and no HOA.